When our stream volunteers monitor Arlington’s streams, they’re looking for benthic macroinvertebrates. Benthic macroinvertebrates are organisms that live underwater in our streams and rivers, lack a backbone, and can be seen by the naked eye. Monitors identify the macroinvertebrates they collect. Based on the macroinvertebrate diversity and sensitivity to pollution, we gain an understanding of our streams’ health. 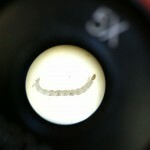 Organisms that require good water quality to survive. They may require high dissolved oxygen levels, or clear, nonturbid waters, or they may be predators that require an ample source of prey. 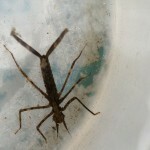 Stonefly – Arlington’s streams don’t support stoneflies. Photo courtesy of BLM/USU National Aquatic Monitoring Center. 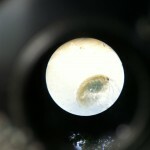 Water Penny – Photo courtesy of EcoAnalysts, Inc.
Organisms that can survive in fair water quality. Their habitat requirements aren’t as stringent as pollution-sensitive organisms. 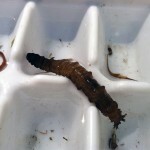 Caddisfly – There are many different families of caddisflies, some of which would be classified as pollution-sensitive. The caddisflies found in Arlington are moderately pollution-sensitive. Photo courtesy of BLM/USU National Aquatic Monitoring Center. 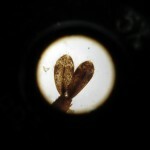 Mayfly – There are many families of mayflies, many of which are classified as pollution-sensitive. 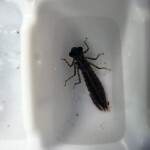 One mayfly family, the small minnow mayfly, has been found in Arlington and it’s considered moderately pollution-sensitive. Photo courtesy of BLM/USU National Aquatic Monitoring Center. 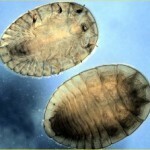 Organisms that can survive in poor water quality. They often have adaptations that allow them to survive in water with low dissolved oxygen, turbid waters or nutrient-enriched waters. 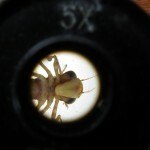 There are no “bad” macroinvertebrates. If monitors find only pollution-tolerant macroinvertebrates, it’s an indicator that only these organisms can survive in the stream. If the stream was restored, we would hope to see more pollution-sensitive and tolerant macroinvertebrates living there. Chemical water tests are limited because they only tell us what’s in the water at the specific moment the sample is collected. They don’t give an indication of what was in the water an hour ago, yesterday or last week. 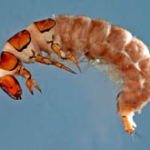 Every day, macroinvertebrates are surrounded by water and any pollutants that may be in the water. 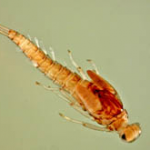 If pollutants were in the water last week or yesterday, the quantity and diversity of macroinvertebrates present would reflect this in the water quality. 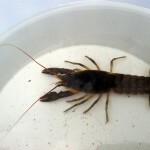 Different types of macroinvertebrates have different requirements to survive. Some require cooler temperatures, relatively high dissolved oxygen levels or certain habitats. 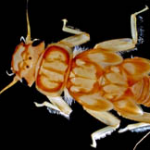 Other macroinvertebrates may be able to survive in less-than-ideal conditions — where there are low dissolved oxygen levels or more sediment — or where the water temperature is warmer. Again, there aren’t any “bad” macroinvertebrates, but the population present may indicate that there are bad stream conditions in which only the “strong” can survive. All of Arlington’s streams have been impacted by development and their macroinvertebrate populations tell that story. To become a volunteer stream monitor, contact Lily Whitesell at 703-228-3042.